Some people say time is money, but what good is time if you don’t have the energy to maximize it? What good is time when you’re so tired, you can’t even form a thought? What good is time when you don’t even have the energy to play with your children during the precious little time you get with them? Energy is key. And when you’re not getting enough sleep, working too hard, and just plain doing too much, you might need some support. And what better support than a supplement made up of completely natural ingredients? What better support than a supplement that boosts your energy using only those natural ingredients! It’s not magic. Natural supplements for energy like AvéULTRA, Metatrol, and ImmPower focus on boosting your immune system so it has all the ammunition it needs to fight the daily battles against pollution and stress – even when your body and mind are fatigued. When your immune system is working at full capacity and keeping your body running in the face of those dangers, it gives your body more energy. How do these natural supplements for energy support the immune system? They not only support your immune system with ammunition, they also support it with strategy. There are cells in your body called Natural Killer (NK) cells. The supplements supply the NK cells with the ammunition they need to take out the enemies in your body. But, that wouldn’t be enough. They need to destroy the enemies now but also prepare to prevent more enemies from coming in the future. That’s where the strategy comes in. It coordinates the other types of white blood cells in your body so they work with the NK cells to take down the enemy and recharge your body. Macrophages, NK cells, B-cells, and T-cells all begin to work together like clockwork. 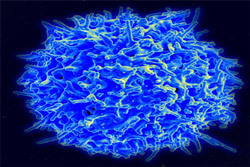 The B-cells and T-cells are also ready to respond better to situations that come up. When there’s an emergency in your immune system, it needs backup. It needs to use every possible means of support. It needs the natural ingredients of natural supplements for energy. Combine supplements with lifestyle choices. Sleep more, eat well, and reduce your stress. When you do that and take supplements, you’ll find the rest of your time is so much more productive and makes you that much more happy. It can be at first (especially if you’ve been stuck in your bad habits for a while) but it’s important to realize when you’re no longer working at your optimal performance because your energy level is so flow. Then, it’s even more important to take action on that realization. You need to help your immune system and take natural supplements for energy.